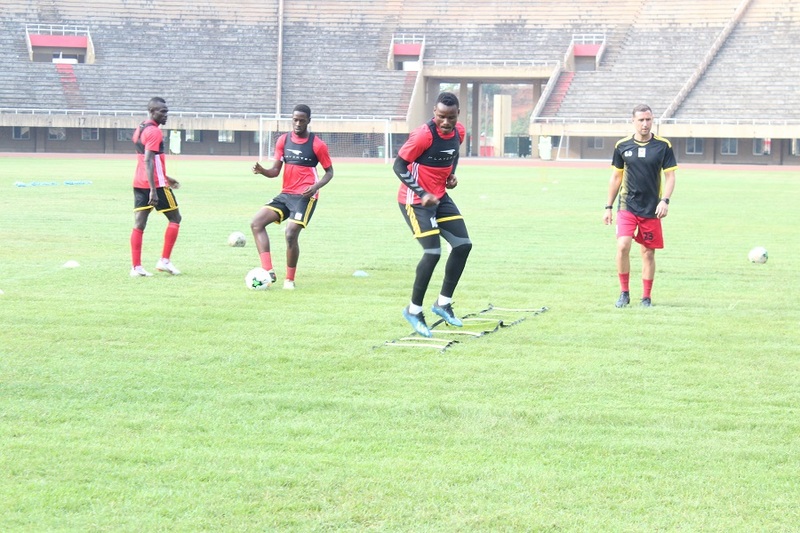 NAMBOOLE – oday being Uganda’s 56th Independence anniversary, it didn’t stop the French man to drag the Uganda Cranes to the pitch ahead of the AFCON qualifier game against Lesotho on Saturday. Apart from goalie Salim Jamal who hasn’t yet arrived, all other players who missed the Monday training participated in the gym session at Kabira Country Club and later training at Namboole. Players who joined camp today included Captain Denis Onyango, Hassan Wasswa, Khalid Aucho, Farouk Miya, Derrick Nsibambi, Isaac Muleme and Milton Karisa. Speaking to the media after training defender Hassan Wasswa Mawanda called upon fans to come and support them like they did against Tanzania and he also promised them (fans) that Uganda Cranes won’t disappoint this time round. “We are going to beat Lesotho ,that I promise our fans so I call upon them to come in big numbers and support us. Said the Cranes Vice Captain. Goalkeeper: Denis Onyango (Mamelodi Sundowns), Charles Lukwago (KCCA FC, Uganda). Others: Isaac Isinde (Kirinya Jinja SS, Uganda), Murushid Juuko (Simba SC, Tanzania), Timothy Denis Awanyi (KCCA FC, Uganda), Denis Iguma (Kazma FC, Kuwait), Nicholas Wadada (Azam FC, Tanzania), Godfrey Walusimbi (Kaizer Chiefs, South Africa) FC, Joseph Ochaya (TP Mazembe, DR Congo), Isaac Muleme, Kalid Aucho, Hassan Wasswa, brahim Sadam Juma (KCCA FC, Uganda), Tadeo Lwanga (Vipers SC, Uganda), Allan Kateregga (Cape Town City, South Africa), Moses Waisswa (Vipers Sc, Uganda), Allan Kyambadde (KCCA, Uganda) Emmanuel Arnold Okwi (Simba, Tanzania), Edrisa Lubega (SV Ried, Austria), Patrick Kaddu (KCCA FC, Uganda), Derrick Nsibambi, Farouck Miya, Milton Karisa.